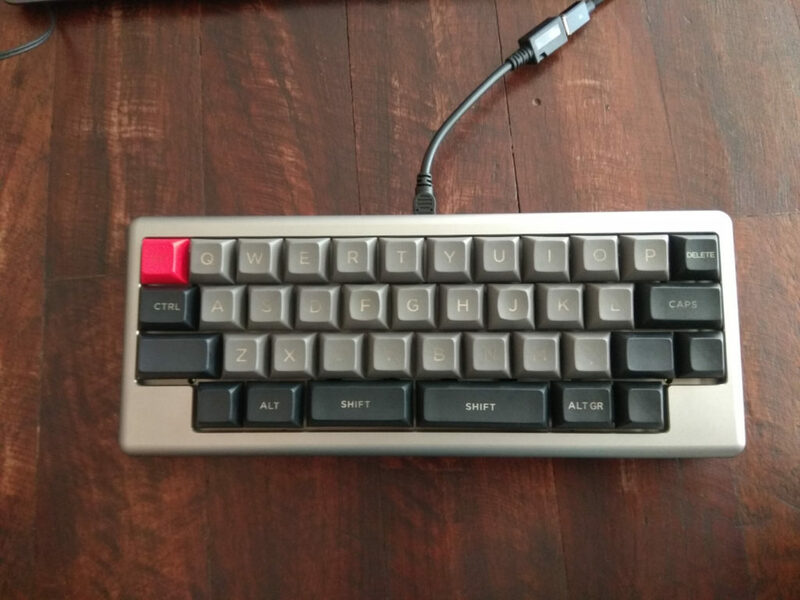 Yesterday I received my newest keyboard – another 40% board – the Daisy. I immediately flashed my preferred layout on it, put some temporary keycaps on and started typing away. Lo and behold, I kept making mistakes. I was thinking to myself, what is wrong with me? Was it the clicky switches that affected me? I spent a few minutes on an empty notepad document and analyzed my typing mistakes. They were very consistent: I was typing U instead of I, K instead of L, M instead of N, comma instead of full stop. It was then I understood what was wrong: it was the missing column on my keyboard. Prior to this, my only experience with 40% boards was the Vortex Core which had an additional column of keys compared to the Daisy. Since it was the only 40% board that I’ve spent the past few months mastering, my muscle memory was already tuned to it. 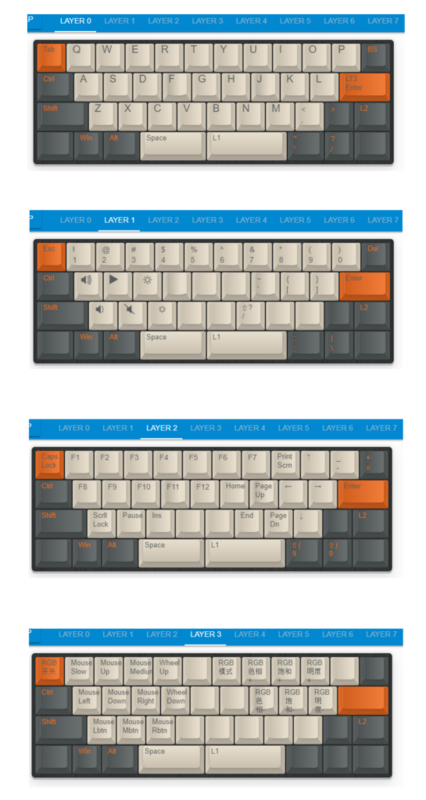 Who would’ve thought one column (which consists of 3 keys) would make such a big difference? I was so used to typing on the Core which was one column short compared to a 60% board, but the position of the home row fingers (ASDF HJKL;) was still the same so it wasn’t much of a challenge. With the Daisy, it was a different ballgame. Because I was missing the ; key, my pinky had to rest on Enter – something I had never done before in my life. Enter was always a key or two away from where my pinky rested, not under it. When using the Core, I located where to rest my pinky by finding the enter, and moving one key to the left. I guess my mind still thought I was typing on the same board and caused me to make the same consistent mistakes. Since recognizing the problem, I have corrected my hand placement and am almost back to full speed with minor mistakes. I guess even the slightest changes can have a significant impact when you’re so used to doing something one way. And I thought I was done with learning pains. Can’t wait to see what it’s like to type on a Planck! Not gonna have proper keycaps to fill this board for a while, so I threw on my old DSA keycaps in the meantime. For those of you interested in my Daisy layout, you can find it here.